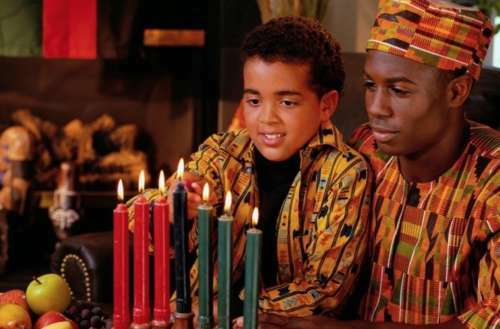 Today is the fourth day of Kwanzaa, a seven-day holiday celebrating African identity throughout the Americas. Created in 1966 as an alternative to Christmas that celebrates black identity and history, Kwanzaa is Swahili for “First Fruits,” and each of its seven days recognizes a different core principle like umoja (unity), kuumba (creativity) or imani (faith). We spoke with two queer black men — one living in Dallas and one living in Jersey City — about how they celebrate Kwanzaa, why they celebrate and the holiday’s connection (if any) to their queer identity. 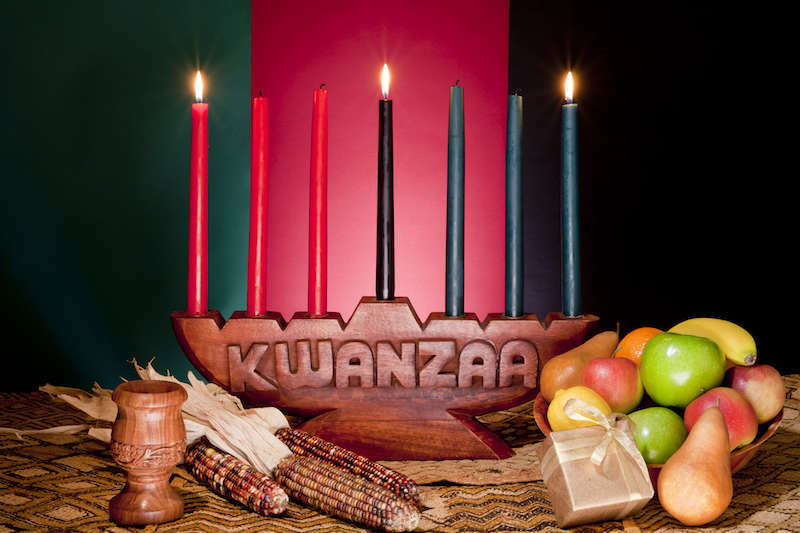 Kwanzaa runs from Dec. 26 to Jan. 1 and has many observance rituals. For example, celebrants will often display African prints in their home and have a kinara (a candle holder) for lighting three red candles, three green candles and one black candle, one on each day. The red candles represent struggle, the green future and the black the black community. 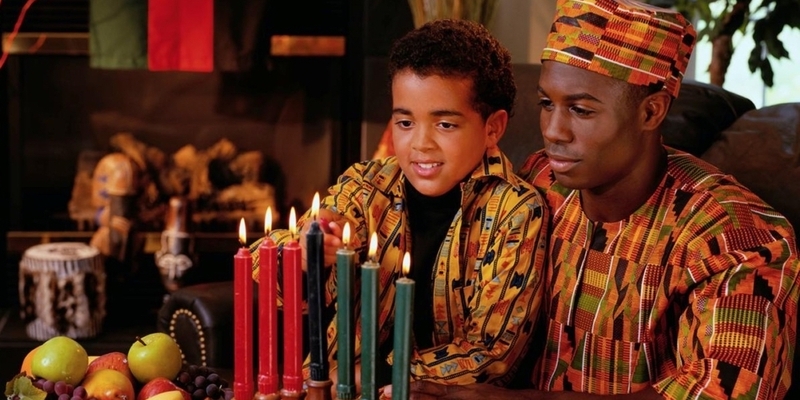 People who celebrate Kwanzaa will often meditate on each day’s core principle, sometimes giving zawadi (gifts, usually self-made or purchased from black-owned businesses), sometimes hosting a karamu (a feast), offering shukrani (gifts) to African ancestors or enjoying black art. 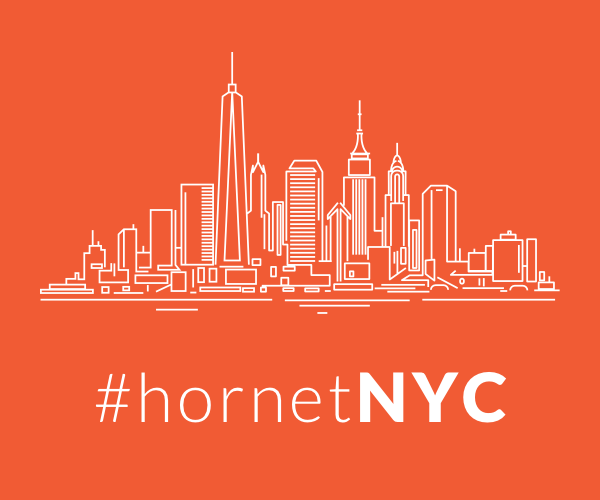 Chaaz Quigley, a queer Hornet contributor who lives in Jersey City, New Jersey, and S. Gotti, a gay entertainer who lives in Dallas, Texas, both learned about Kwanzaa at different times. As a teenager, Gotti and his uncle would fast until sundown on each of the seven days (drinking only water and juices), something he says was most difficult on the day immediately following Christmas. As he has grown older, Gotti has met many others who celebrate Kwanzaa, but he celebrates mostly on his own in remembrance of his uncle who passed away in 2010. He observes each day’s core principle by contemplating its significance and participating in gift-giving associated with each day’s principle. For example, since today is ujamaa (cooperative economics), he has located a local black tailor who has offered him an excellent price on a custom fit suit. For the first day, umoja (unity) he gave shoes and jeans to a co-worker who badly needed them. “Each day is a different day and a different journey, which helps you unlock the world around you,” Gotti adds. Quigley didn’t really start celebrating Kwanzaa until later in his life. His religious mother considered Christmas too materialistic and not really about Jesus, so he never had “ooey gooey feelings” about the holiday. And though he wanted something more related to black identity, he had only really heard about Kwanzaa through other community members. Occasionally he’d attend a one-day annual event in Dallas’ Fair Park called Kwanzaafest, an event that continues to this day. “There would be music and food, and it would have some community-empowering things like giving out coats or doing something for the kids. Lots of the energy of Black people taking care of ourselves and prospering our communities,” Quigley says. Rather than celebrating each of the individual days, Quigley will buy gifts from black-owned businesses via Google and Etsy in the weeks before Kwanzaa and will hold a karamu feast at his place on the first day. “We light the kinara and celebrate Black community and read poems and excerpts from Black creatives and thinkers, talk about what we want for our People in the future and make offering to Ancestors,” he says. The offerings are usually a basket of food, “healthy things,” Quigley adds, like fruits, veggies, bread, chocolates. He will also write out a plan of how he can apply each of the core principles more into each day of the new year. For example, for umoja (unity) he might resolve to spend more time with his family. For Gotti, the holiday doesn’t have much connection to his sexual orientation. “I’ve been celebrating this holiday way before I came to be or shall I say ‘came out,'” he says. He recognizes the core principles of kuumba (creativity) or umoja (unity) might have some resonance within the black gay community, but he thinks they apply more to his black identity than his sexuality.